An article in yesterday's Chicago Tribune focused on whether exposure to comic books and movies and video games tends to make the youngsters have a proclivity towards violence. Interesting question. What caught my eye was the graphic accompanying the article. It was a "Tribune Photo Illustration" and, since it doesn't appear to be available online, I will describe it to you. 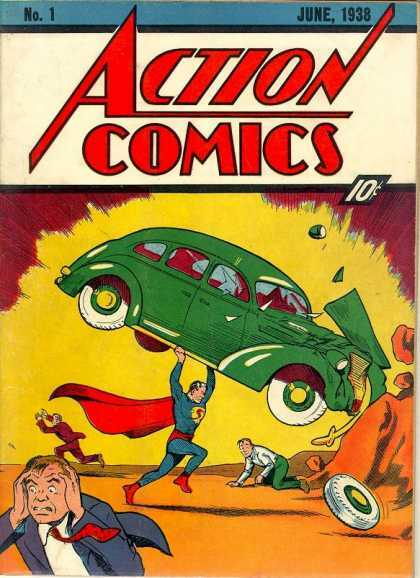 The upper one-third was a portion of the cover to 1938's Action Comics #1, the middle one-third was a close-up of Malcolm McDowell's despicable character from A Clockwork Orange, and the bottom one-third was video game screen capture of a pilot bombing a bridge. Wait one minute, I said to myself. 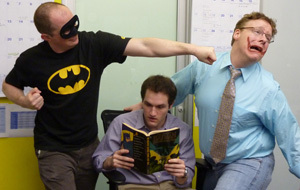 Did the Tribune Photo Illustrator really think that the Action #1 cover ever incited anybody to violence? Do kids these days make a practice of lifting cars and smashing them onto boulders like Superman was shown doing in that 73-year-old drawing? I just feel that the choice of that cover for inclusion in the Photo Illustration did not support the thesis and a better selection could have been made. Here is the article in case you'd like to read it. Everybody knows that Spider-Man is on Broadway, but are you aware that Batman is appearing off-Broadway right now? It's so far off, in fact, that it's across the river in Brooklyn, and Batz is the name of the play. 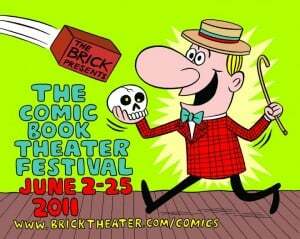 It's but one facet of The Comic Book Theater Festival which is running at The Brick Theater (and this is an interesting website to visit; I found out that Marvel Comics writer Fred Van Lente and Masterpiece Comics genius R. Sikoryak are involved with The Brick). I won't be able to attend the play but maybe you'll have a chance to catch it. Here is a review that appeared in The New York Times (and TCBTF has been extended a week beyond the date indicated in the image below!). Who is your favorite comic book letterer? The process is a bit of a lost art these days and I can understand if you brush off the question like a mosquito off your nose. But not so very long ago the field of lettering was vibrant and thriving and at that time I might have chided you if you couldn't name a beloved practitioner. Yes, Ben Oda is my favorite, but I appreciate the work of a bevy of other letterers also. 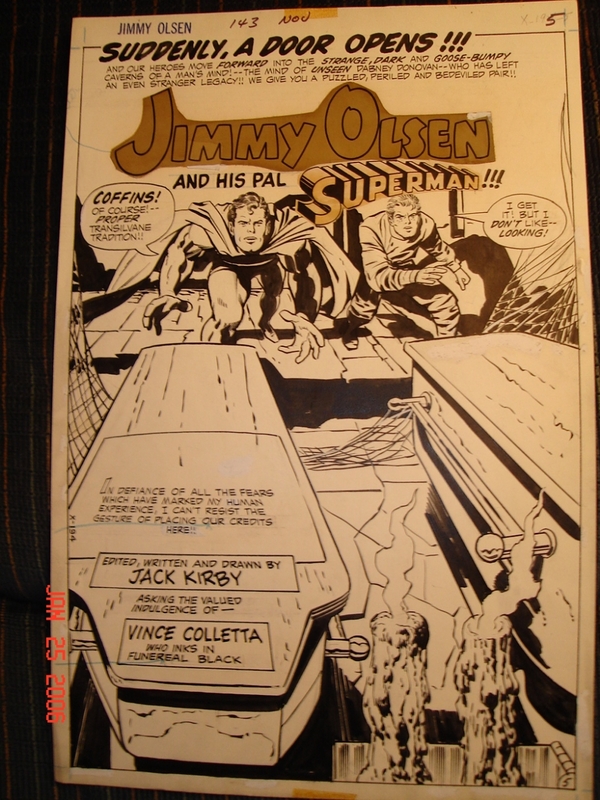 John Costanza worked on the early issues of Jack Kirby's Fourth World comics. Mike Royer took over in the later Fourth World releases (and, as I now reflect on it, I probably knew Mike Royer by name before I knew Ben Oda by name since those early-1970s Kirby comics had an "Inked and Lettered by Mike Royer" credit line). Let's not forget about the excellent letterer of the early issues of Jimmy Olsen that I have lauded every time I listed a J.O. comic over on ebay (but whose identity I will not reveal until a later day). 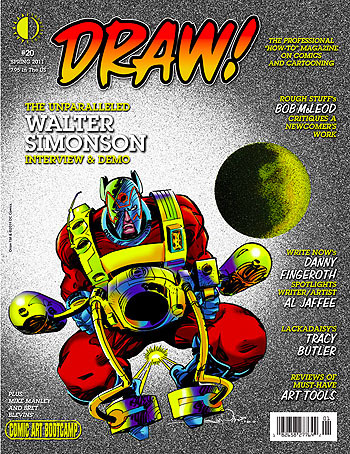 Another top flier is John Workman, whose work has adorned Marshall Rogers' Batman stories and Walt Simonson's Manhunter and Metal Men and Thor stories. In fact, I'm ready to announce to the world that John Workman is my second-favorite letterer of all time! But I'm sorry to say that I'm here today bearing bad news about John Workman. He was one of the stalwart holdouts but now he too has thrown in the towel. It wasn't that many months ago that I can recall enjoying a comic with the beautifully jaunty rising and falling of Mr. Workman's hand-drawn letters. But it's a different situation altogether in the "Super 8" story insert in the midsection of many of this month's DC Comics releases. The credit box of the Super 8 comic-within-a-comic says that the lettering is by John Workman, but where's the life? Where's the lilt? The lettering shows some resemblance to the style of Mr. Workman but the rigid uniformity of the heights of the rows of letters makes it woefully apparent that Mr. W has crossed over to the dark side and has computer-lettered rather than hand-lettered this story. The John Workman Wikipedia page makes mention that Mr. W is one of the last to still letter by hand. Somebody's going to have to go alter that line to read "Mr. W was one of the last to still letter by hand." The glory days were great while they lasted. I feel a sadness as I watch the artform of comic book hand-lettering hobble toward extinction. Computers are the worst thing that ever happened to comic book lettering. Hard to believe it's been almost two decades since Jack Kirby left this plane to go create in a more expansive one. Yet, all these years later, The King is still impacting our wide world of comics. I watched Smallville for the entire ten years it was on the WB (I mean CW) network. Some seasons were better than others and some were worse. This final year has been building to a crescendo to the drumbeat of "The Darkness is coming." Since last fall we have been introduced to Glorious Godfrey and Desaad and a quite excellent Granny Goodness (and we even found out that Lex Luthor's sister Tess (yes, you did read that correctly) was raised in Granny's orphanage). All year these minions were paving the way for the arrival of the dark lord Darkseid himself. Not only are all these characters the brainchildren of the one and only Jack Kirby, the impending threat of Darkseid was the impetus for Clark Kent to once and for all don the Superman costume in the Smallville series finale. I thought it was a little bit cool when writer Jeph Loeb had the climax of the first season of NBC's Heroes take place in "Kirby Plaza," but here we have the writers of Smallville attributing the entire costumed mythos of Superman to a confrontation with Jack Kirby's Darkseid. 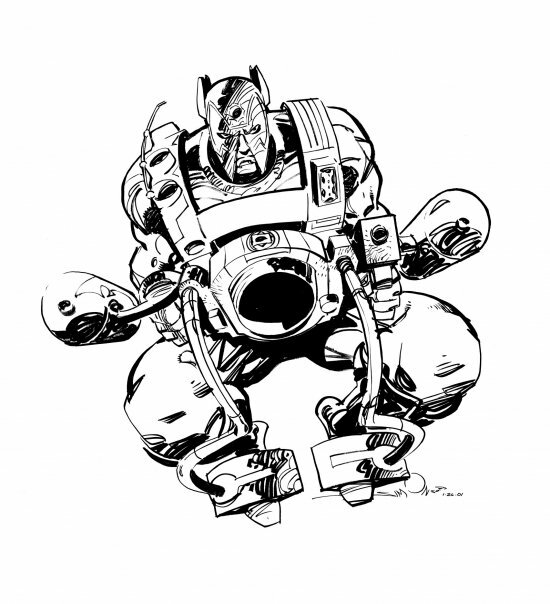 I'll never stop saying it: HOORAY FOR JACK KIRBY!! !